The AB Card a non contact card, with a pre-defined route. This card is rechargeable throughout our sales network and is transferable to more users. It has 10 trips of the previously selected route and allows for collective use by several people on the same route, provided that the driver or driver is notified in advance before the first cancellation. When boarding, the person holding the card must bring the AB Card to the reader who will cancel their trip. 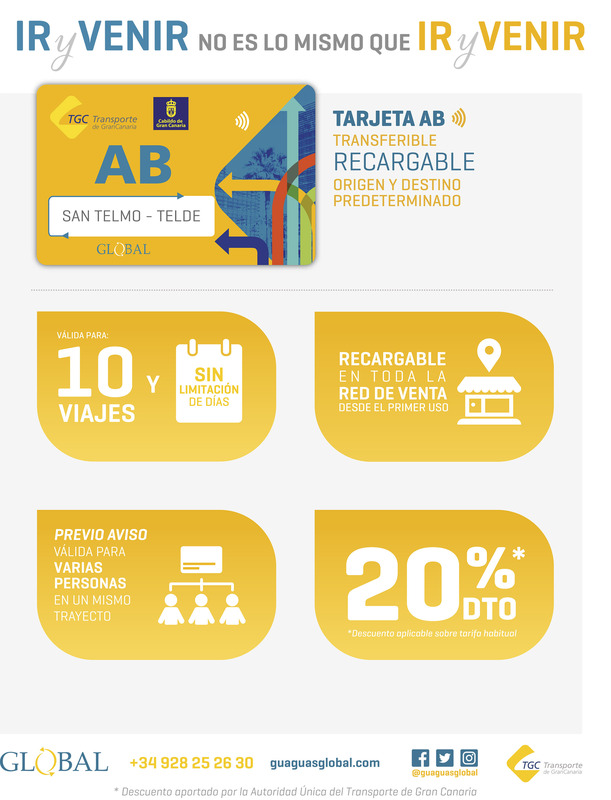 This card allows you to benefit from the bonuses established by the Single Transport Authority, with a direct discount of 20% of the cost of the direct payment journey.